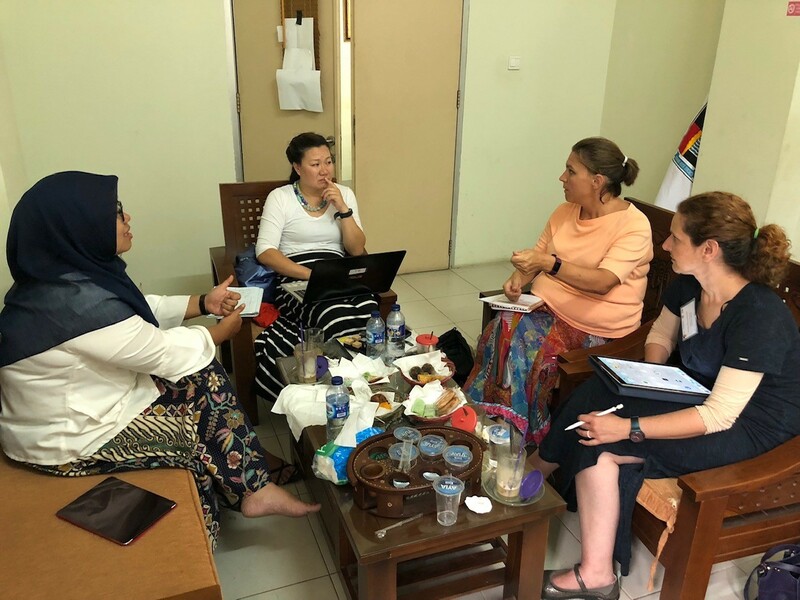 Editor's note: Linda Tanini, a science teacher at Chelmsford High School in Massachusetts, traveled to Indonesia as part of the Fulbright Distinguished Educator Awards. In a blog post for Education Week, she shared how she integrated what she learned from her exchange experience into her classroom. How does water affect culture in Indonesia? When I found out that I would be traveling to Indonesia, I formulated this as a guiding question I could use while exploring this new culture. I wanted my experience to inform my classroom at home and incorporate the Sustainable Development Goals (SDGs) established by the United Nations. Investigating the connection between water and culture blends both my biology curriculum and the SDGs, and as I discovered, there were many real-life experiences I could then use in my classroom to help the students learn more about the world while simultaneously learning the curriculum standards. 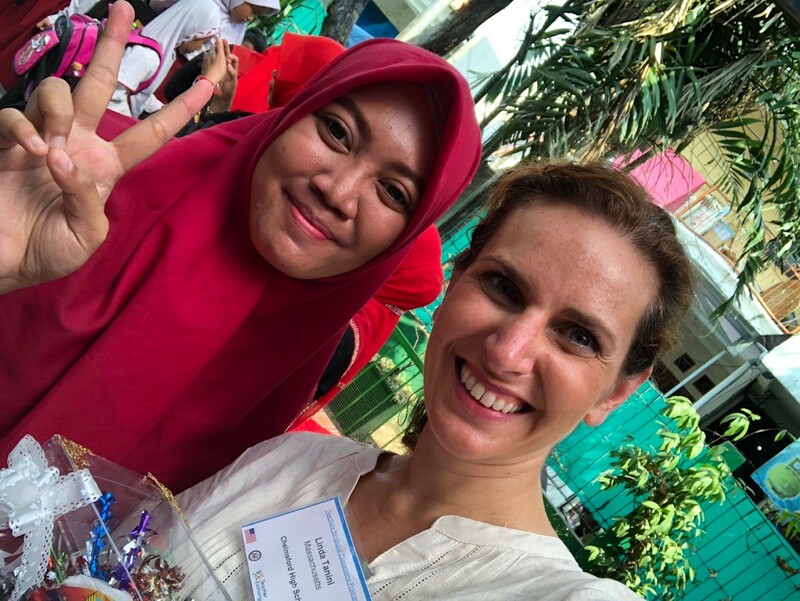 Indonesia is heavily tied to the water that surrounds its 1,700 islands, and this was evident when we visited an urban elementary school, and one of the parent volunteers proudly showed us a garden fountain they had made. The students used this garden as a respite during their school day and as a place to conduct experiments while observing nature and the ecosystem. Since it is located right outside the classrooms, the students could observe pollinators visiting the fauna or the fish thriving in the pool. Students also used old water bottles to construct planters for their garden. This small water garden is a great resource for introducing the importance of clean water to the ecosystem and humans. Later, I had the opportunity to visit Jambak Sea Turtle Camp, a sanctuary that was set up by one individual who believed in the importance of saving these sea creatures. Sea turtle eggs are obtained and hatched at the sanctuary, and when the turtles are old enough, they are released back into the sea. The camp also conducts outreach since successful conservation requires educating the public, including students, on problems and solutions. A curriculum was designed to educate students on the importance of these turtles in the area's ecosystem. Additionally, Sea Turtle Camp sponsors "Beach Clean Up" days in which members of the community work together to help pick up any trash that has accumulated. These efforts clean the beach while the community members learn the importance of cleaning the area to protect the land for future use by the entire community. After I returned home, I began looking at my curriculum through a different perspective. I realized that with a little adjustment, I could introduce a global perspective while ensuring that I fulfill all formal requirements. My 9th grade biology students needed the most learning support, so I started by looking at my biochemistry unit. I restructured the unit to address SDG goal #6: Ensure Access to Water and Sanitation to All. One of the biggest challenges that I had anticipated was convincing my students that this was a real issue. To address this, I began the unit by showing students a short BBC video entitled, "Why Indonesia's Capital Jakarta is Sinking." Next, I introduced students to the innovations I had experienced in Indonesia at both the school and Sea Turtle Camp. I continued to explore other situations in which the scarcity of clean water may be a problem, such as when a natural disaster like a hurricane or flood occurs, issues which happen regularly in Indonesia. I also expanded the examples to include natural disasters that have occurred in the United States in the last few years. My students became more invested in the content because they were now more curious about the world and how it works. One of the first characteristics of a globally competent student is that they are able to investigate the world. I wanted my students to recognize that there are different perspectives, and everyone may not share the same ideas. To do this, I showed the students the different types of water-purification systems. Some were elaborate, such as the work of Jackie Brookner, an artist who created plant-based water-remediation projects. Others were more simplified, such as a short video clip from MythBusters on creating a solar still. Lastly, I brought in a water purifier that is used by campers. I had the students determine the advantages and disadvantages of these different types of water-purification systems and which type would be best-suited for different situations. They were then challenged to research and design a water-purification system, outlining what type of situation it could be used for. They could make a quick purification system to help during a natural disaster or a permanent purification system that could be used in a park. From this exercise, the students not only learned how to communicate their ideas, but they also started to devise a way to make a difference in the world and gained the skills they would need to take action. Initially, the students were a bit hesitant. However, as I circled around the room and began asking probing questions like, "How will your apparatus filter out the dirty water from the clean water?" or "How will you be able to ensure that you don't lose water through evaporation?," the students went to work modifying their original designs. The amount of water that was purified was recorded daily for over a week. After that week, the students were able to reflect on their work and write a brief overview of what they accomplished. As we worked, we continued to discuss the real solutions that I had seen implemented in Indonesia. Projects at the school and Sea Turtle Camp reduced waste and cleaned the water, either through recycling supplies or cleaning up the water sources. In our class exercise, my students created a way to clean water, but they were initially bulky and not very efficient. I challenged them to think about how to make them more efficient and to consider the cost of supplies and how long it would take to get a sufficient amount of water. The students became scientists as they worked to identify the problems and shortcomings of their solutions and develop improvements. At the same time, I also was able to more deeply engage students in the curriculum requirements while teaching them vital skills that will serve them well in our interconnected world.